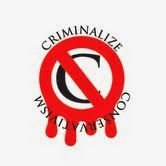 Criminalize Conservatism: How The Left Wing Tells Lies That Say The GOP Doesn't Help The "Little Guy"
How The Left Wing Tells Lies That Say The GOP Doesn't Help The "Little Guy"
We've noticed a lot of criticism about the Conservatives' party only helping out the ! percent, but this can't be true - can it? No, because for the Cons - ALL lives matter! ...and ALL of these lies too! And now that we've exposed all these lies, what is the Final Solution for all those Democratic liars and hypocrites? Yup, and here's how the "lies" lead to fear and fear leads to hate...just like the Repugs do every day to stay alive. Naturally, we had our tongue firmly planted against our cheek when we posted these "lies." It's easy to see why the Repugs' persistent calls of "liar!" is the only thing that keeps them around. Telling the truth when the core of your political philosophy is the Rule By The Rich is impossible in a participatory democracy. AND the legitimacy of the Conservative "movement" will go down in history as the shame of American politics. for; as for me, I rejoice that I am not a Republican."